More batteries could be used for mobile applications in New York. Mobile batteries make a lot of sense, since Con Ed plans to use storage to defer investment in its substations. Planning out how to replace a traditional substation upgrade with batteries often takes too much time. Southern California Edison has been asking for standardized battery-inverter-control systems that can be deployed in six months, largely because that turnaround fits better into its distribution investment planning schedules than do special projects that take years. Eventually, many of the substations will need to be upgraded at some point anyway -- and that upgrade schedule may be coming sooner than the useful life available from batteries. 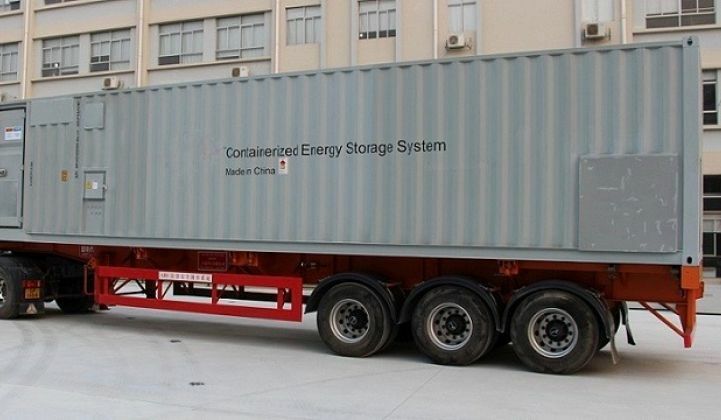 According to a 2013 analysis of California’s energy storage potential by DNV GL, mobile batteries showed a significant benefit-cost uptick against stationary units for substation asset deferral, with the biggest benefits coming at the end of the battery’s life. The main job for the "storage on demand" trailers will come during summer months, when Con Ed will assess which substations need their support the most. But the batteries will also be available at other times for short-term support -- a use case like emergency backup power during an event like Superstorm Sandy. While California utilities have successfully deployed stationary batteries in record time in response to the Aliso Canyon crisis, mobile batteries could be deployed in days or perhaps hours, not months. Con Ed’s new project adds another level of flexibility to the picture. “When Con Edison and its customers do not need the batteries, the units will be stored at the generating station and the partners will sell peak-shaving, contingency support and other services into the New York Independent System Operator wholesale market,” the utility wrote. Sharing the stacked values of energy storage across multiple parties is rare today, but more pilot projects from utilities in states like New York, California and Hawaii are testing the boundaries of these economic and regulatory constructs. Con Ed’s battery projects are part of the state’s Reforming the Energy Vision (REV) initiative to remake distribution grid operations and to optimize behind-the-meter energy assets. Other Con Ed projects of note include its distributed solar-storage virtual power plant project with Sunverge, and its replacement of a $1 billion substation upgrade with DER alternatives. Meanwhile, the biggest battery projects are still being built for stationary applications. The main economic opportunity for lithium-ion energy storage at grid scale has been providing frequency regulation, which requires second-by-second responses from batteries with plenty of power capacity, but doesn’t demand multiple hours of cycling. Most of the country’s batteries have been built to serve the frequency regulation market of mid-Atlantic grid operator PJM. But as that market becomes more crowded -- and the economic returns for new entrants less abundant -- storage developers have been seeking out the next fertile grounds. The U.K. recently emerged as that big next market, with the opening of hundreds of megawatts' worth of opportunities under the country’s new regulations for enhanced frequency response. The latest new entrant is NEC Energy Solutions, which announced Tuesday that it’s been contracted to build and operate a total of 50 megawatts of lithium-ion-based energy storage facilities for VLC Energy, a joint venture between Low Carbon and VPI Immingham, to provide frequency response. The projects are under construction and are expected to be up and running in November 2017. Meanwhile, back in the United States, Texas has some of the country’s biggest battery projects, almost all of them built around the state’s giant wind farms. On Wednesday, E.ON North America announced it’s adding two 9.9-megawatt short-duration lithium-ion battery systems to its Pyron and Inadala wind farms in West Texas, part of the company’s 2.7 gigawatts of wind capacity in the state. E.ON is hiring Greensmith for the project, adding to the startup’s roster of grid-scale storage projects managed by its software. Texas has been working for years on rules that will allow batteries to participate in its frequency regulation services markets, and it’s also the home of a series of pilot projects testing energy storage to balance wind and solar, provide ancillary services and perform other tasks.